Our hotel is within Bangkok’s great shopping district, epitomized by the wonderful Pratunam market. Primarily a clothing market, most types of good are sold here and prices are extremely low compared to other places. The retailers here can be bargained with for a lower price than the starting price, and it gets cheaper as you buy more. There is both a day and a night market and both are usually teeming with people. Located just around the corner from us, where bargain hunters should be ready to hunt for the best deals, Platinum Fashion Mall is a paradise for the latest accessories and fashion. If you prefer the luxurious shopping scene and department stores, Central World and Siam Paragon are a short walk away. MBK is probably the most popular department store in Bangkok for tourists. A trip here is a must as the variety and value of goods is unmatched in the city. Centre Point is the perfect hotel at Pratunam for shopping of all types. 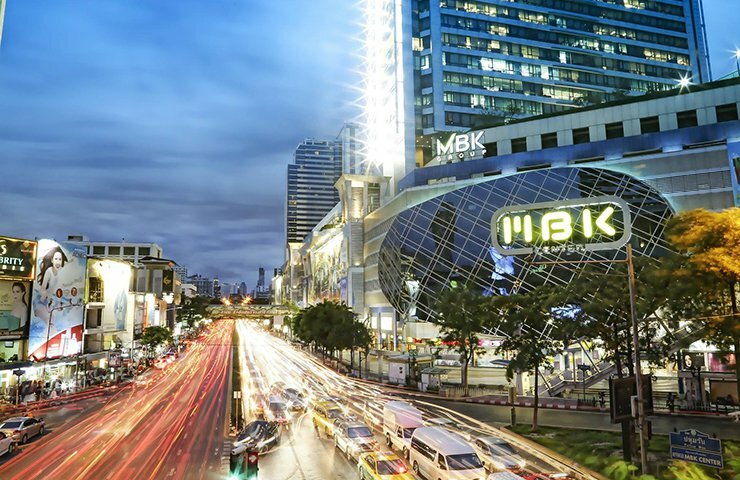 Our location in Pratunam is in one of the liveliest neighborhoods in Bangkok, located next to major department stores and eateries: Pratunam Shopping market, Siam Paragon, the famous Ko Aang Chicken Rice are all within walking distance. Take a look at our map which has all the major destinations marked out around our hotel, our neighborhood alone has more than enough for you to keep busy for your trip here. The hospitals are also marked out on the map in case of emergencies. In our episode of ‘Hi Bangkok’, Centre Point takes you on a tour of Pratunam’s Trio Market. We start at Morning Market for food, then follow-up with the Midday Market for clothing and apparel. Finally, it’s on to the Night Market for souvenirs and entertainment. Watch the video here, and if there’s any chance you’re visiting Bangkok, don’t forget Centre Point Hotel Pratunam! Once-in-a-lifetime experiences for our members, you may be surprised! Enjoy your moment on your plan not on your budget, our best rate is wait for you, member privileges & benefits, points collection and redeem points. Even better with special offer on the richest exclusive discounts with the top brand partners in Thailand. Start exploring and scratch your holiday. Those looking for a bargain cannot miss out on Platinum shopping mall. With over 2000 independent clothing stores, you could get lost in this mall and literally shop till you drop! Luckily there’s a few restaurants downstairs too. 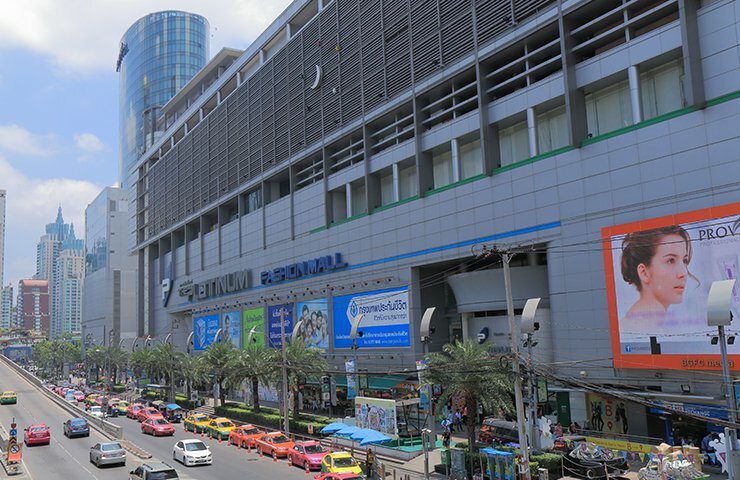 The famous Pratunam market situated around five minutes away from Centre Point Hotel Pratunam. This market is a shoppers paradise and, in terms of clothes shopping, as local as it gets. Many of the vendors you see around Bangkok will make their way to this market to buy wholesale clothes to sell on. The local vendors are loud and friendly, and some even sell their own homemade clothing. MBK (known in Thailand as ‘Ma Boon Khrong’) was the largest shopping mall in Asia when it opened back in 1985. It is an extremely well-known department store selling nearly everything, from furniture to cameras to clothes. There are hairdressers, tattoo artists and many restaurants as well. Located 15 minutes on foot away from our hotel, it’s a perfect way to stock up on souvenirs and goodies before heading back home.